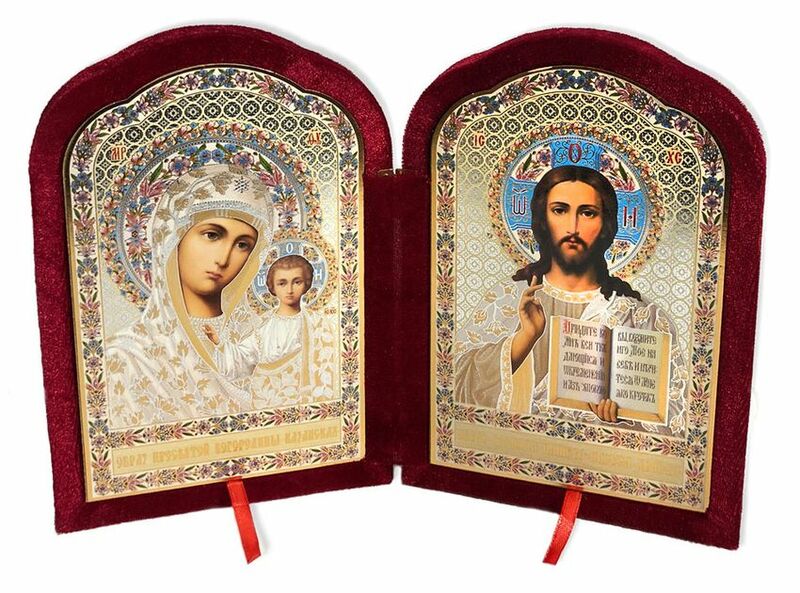 This diptych features traditional Orthodox style icons of Christ the Teacher and the Virgin of Kazan, set in an attractive plush velvet case that can be easily folded. Great for travel or home display. SIZE: 6 1/4" width (closed), 12 1/2" width (open) x 9" high.